With SAP Extended Warehouse Management (EWM) customers have numerous ways to connect to warehouse devices and automation. The Material Flow System (MFS) component of EWM gives a great flexibility to e.g. handle automatic conveyor technique and rack feeders. In this case EWM MFS directly communicates to Programmable Logic Controllers (PLCs) without the need of any intermediary. More information can be found in EWM application help (e.g. here). 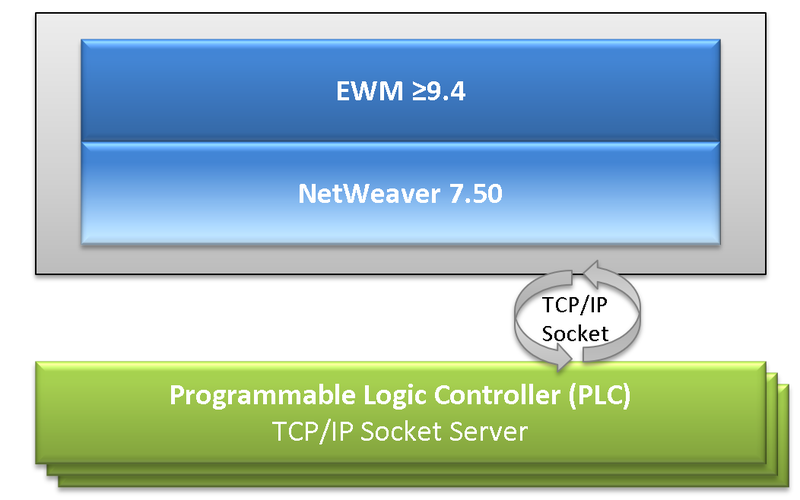 Nevertheless, there are use cases to connect existing AS/RS subsystems as black box to EWM. In such a scenario, there is a segregation of duties in place between EWM and the subsystem. Usually, the subsystem is responsible to execute and confirm warehouse tasks. For such scenarios SAP recommends to model all physical storage bins also in EWM. This is because the EWM design is based on certain assumptions regarding the physical stock situation in a warehouse. One of the assumptions is that there cannot be thousands of HUs on a single bin. Such a bin would not be manageable for a warehouse clerk in real world. There must be a certain structure allowing the warehouse clerk to identify individual HUs in a reasonable amount of time. However, if such a clear structure is not possible, the workarounds explained in SAP note 2461263 should be adhered to. The note details on relevant system settings, lists SAP notes and recommends a BAdI to be implemented.